Whether he’s promoting Secret deodorant or his trusty brand, Isaiah Mustafa – aka the Old Spice Guy from the hilarious TV commercials – can’t let an ounce of wetness touch his perfectly chiseled man-hide, even if its’s for a good cause like the Ice Bucket Challenge to combat ALS. But he’s always willing to try. “The Man Your Man Could Smell Like” hates sweat but loves ice hockey and discussed his passion for the sport last November with the Color of Hockey. 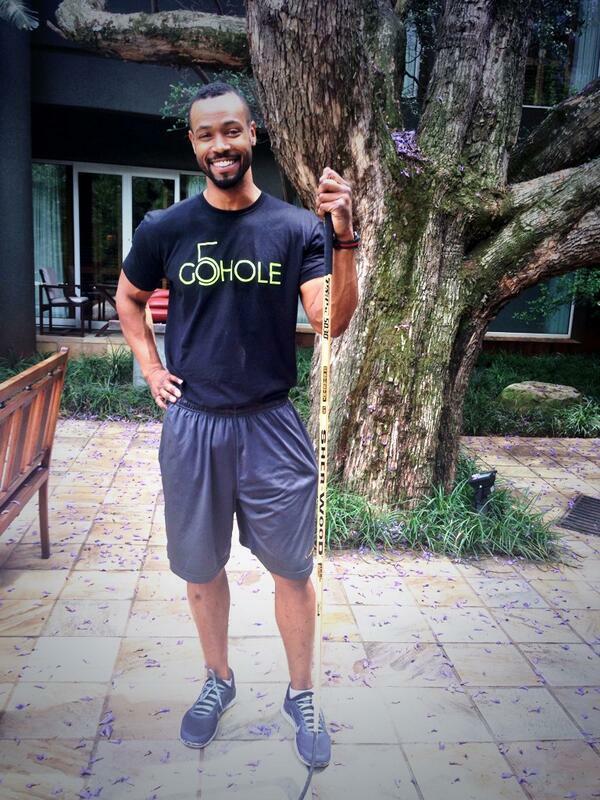 “Old Spice Guy” Isaiah Mustafa rarely leaves home without his hockey stick.